Cheap flights from Paris to Martinique or Guadeloupe from €195! Air France cheap non-stop flights from Paris to Mexico City from €378! Fly roundtrip from the UK to Yellowstone National Park from £320! Cheap flights from Paris to Martinique or Guadeloupe from €195! Find the lowest priced deals from France to Caribbean and book your next cheap flight from Paris to Martinique / Guadeloupe based on promotion of LEVEL! If you are budget travelers in France looking for the cheapest flights to Martinique / Guadeloupe out of classic main tourist season do not miss this sale. This is perfect solution for majority of travelers in Europe planning to visit these beautiful Caribbean islands …Our solution is based on low-cost airline LEVEL. (Part of IAG family – British Aiways / Iberia). Choose one and book very cheap flights from Paris to Martinique or Guadeloupe in autumn or winter 2019! Promo sale offers the cheapest flights from Paris to Martinique or Guadeloupe in May, June, November and first half of December 2019. Blackout period around Easter Holidays. Further details and restrictions vary by each of the airlines. You can book cheap flights Paris to Martinique or Guadeloupe till end of February 2019. Below you can refer to our booking as well as few travel samples. Martinique is a Caribbean island that is an overseas department of France in the Caribbean Sea, north of St. Lucia and south of Dominica. The island is dominated by Mount Pelee, which on 8 May 1902 erupted and completely destroyed the city of Saint Pierre, killing 30,000 inhabitants. In the South of the island, there are many beautiful beaches with a lot of tourists. In the North, the rain forests and the black sand beaches are worth seeing. The interior of the island is mountainous. Are you up to visit this city then book cheap flights from Paris to Fort-de-France, Martinique. You can read more about this incredible island in the Caribbean Sea here at Wikitravel. Guadeloupe, sometimes known as the Butterfly Island, on account of the shape of two of its major islands, is a group of islands in the eastern Caribbean, and is a French overseas department. It is located southeast of Puerto Rico. If you have booked these cheap flighs from Paris to Pointe-a-Pitre, Guadeloupe you can read more about this Caribbean isle at Wikitravel. Travel dates. 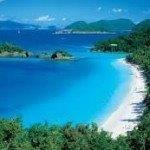 : Compare the cheapest flights Paris-Martinique or Guadeloupe at website of LEVEL. Need affordable hotel in Fort-de-France or Pointe-a-Pitre book your accommodation via Booking.com or Hotels.com. If you have booked these cheap flights from Paris to Martinique or Guadeloupe you can also compare best prices for car rental in this destination via Rentalcars.com. Booking sample of cheap flights from Paris to Martinique or Guadeloupe from €195! Your outbound date from France to Fort-de-France would be on 11th of November. Inbound flight from this beautiful Caribbean island back to Paris on 18th of November 2019. Take advantage of this latest promotion from France to the Caribbean (Fort-de-France or Pointe-a-Pitre). Book the cheapest flights from Paris to Martinique or Guadeloupe!